May brings us new titles by Medwyn Goodall, Paul Sills, Adrew Kinsella and Midori. The albums are: Renaissance by Medwyn Goodall, A Promise of Angels 2 by Midori, Awake and Dreaming by Paul Sills and Forest Sanctuary by Andrew Kinsella. A medieval setting full of legends and story tellers. Melodic Dulcimers, Fiddle, Guitars, and amazing drumming set the mood. Followers of Medwyn’s music will notice influences from King Arthur and the Clan trilogy. “A Promise of Angels 2”. Perfect for healing, massage, reiki, meditation and relaxation. Ethereal tone, harp and Piano. Quite possibly one of the best CD’s Midori (AKA Medwyn Goodall) has ever made. Set your creative thoughts free. Allow yourself to escape. Be awake and dream. We each have a special place to get away from it all, our Sanctuary. 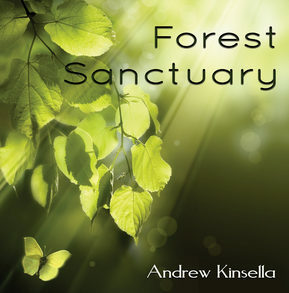 Andrew Kinsella takes us on a journey to such a place, deep into the verdant forest, to a haven of blissful serenity, solitude and retreat. A gentle blend of instrumentation, rich atmospheres and evocative melody invites you along secret paths far from the madding crowd.